So this week is half term at nursery and so far Hollie hasn’t mentioned nursery but as she has only been there for 3 weeks, she doesn’t really grasp yet when she goes. 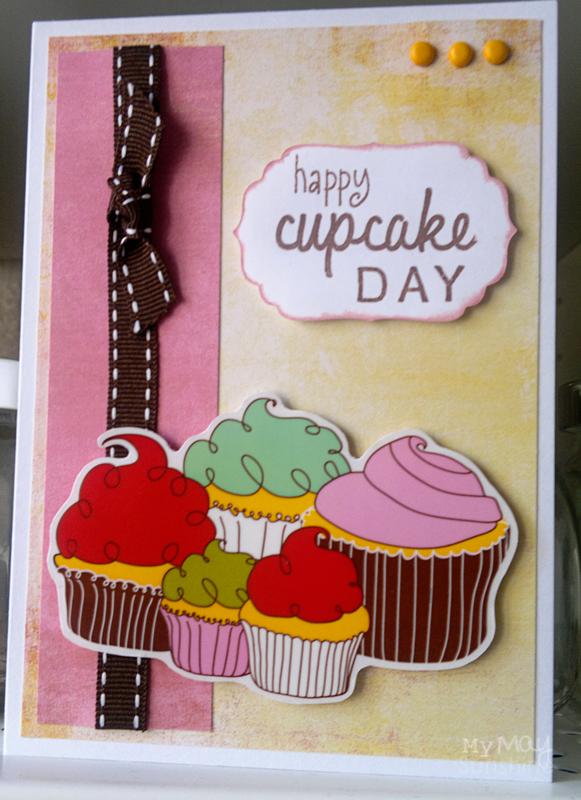 OK, the card today I made using a cupcakes sticker from American Crafts Remarks fruit accent stickers. The patterned paper is from Basic Grey Lemonade collection and the stamps are 3 different ones. Bottom stamp – Banana Frog Teeny Tiny Alphabet set. The label was made using the Nestabilities Label Four. Previous Post A birthday card for Scott. Next Post Happy Birthday Debbie.